The Puerto Princesa City Government recorded PhP197 million worth of business tax collections for this year’s January business registration period. This is a 17 percent increase from last year’s PhP186 million worth of business tax collections. With the technical assistance of USAID’s Strengthening Urban Resilience for Growth with Equity (SURGE) Project in streamlining the city’s business permits and licensing system, the city government has demonstrated a steady increase in revenues and improved services for the past two years. In 2017, the city government gained a 35 percent increase in new investments, and 22 percent increase in revenues from fees collected through its simplified business registration process. Moreover, a quick survey showed that applicants observed a faster and more efficient system of processing of permits. 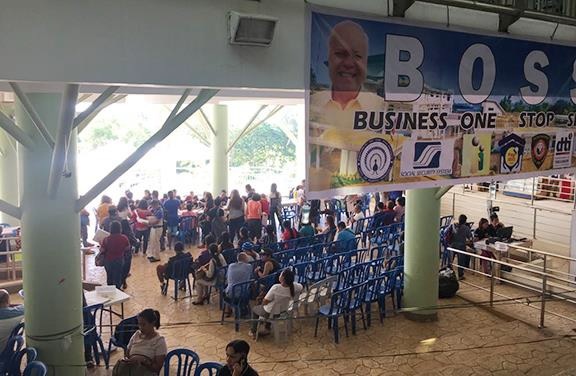 Business applicants also commended the city government’s business one-stop-shop for its friendly and accommodating frontline staff, queueing system, LED information display, and special lane for senior citizens, pregnant and persons with disability.